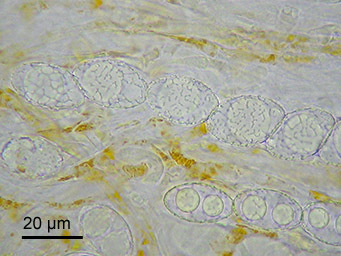 Ascospores: ellipsoid, (18-)20-26(-30) x (11-)12-15 µm, ornamentation consisting of often discontinuous ridges forming an often incomplete reticulum. In extreme cases the ridges can be reduced to isolated warts. Note: In the past often confused with Neottiella vivida. Boudier, E. 1905-1910. 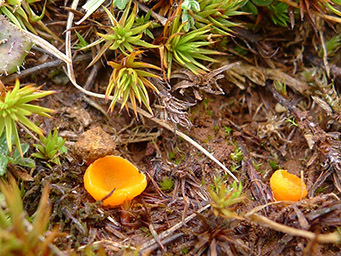 Icones mycologicae ou iconographie des champignons de France principalement Discomycetes. - Paris: Klincksieck, tom. 2: pl. 315.